Back in those pre-VCR, pre-DVR days, I used my cassette recorder and audio-taped episodes of Mork & Mindy every week. I wore out those old tapes listening to them again and again. The show always lifted my spirits. Tonight, I am deeply, profoundly saddened by the loss of one of the greatest comedic talents of EVER. To learn that authorities believe his death was a suicide is all the more tragic. 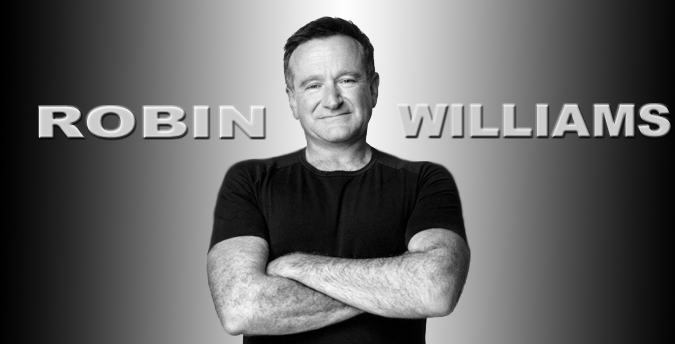 Post Mork, Robin Williams proved himself a brilliant actor in both comedy and drama. His generosity was legendary. Comic Relief. Entertaining the troops overseas (on his own dime). Being a mentor to many up-and-coming talents. He was such a good friend to the family of Christopher Reeve (they were at Julliard together). He seemed to be always present, always in the moment, always THERE for anyone who needed him. And from all reports, he REALLY was that nice a guy, that kind, that generous. He wasn’t a phony. He was an exuberant force of nature who made the world happier. He was very open about his addictions and encouraged people to get help for them as he battled his own. He brought laughter to the world. There will NEVER be another like him. His legacy will live forever. I have heard the expression, “The day the music died,” before, but today the laughter died. I am truly speechless and heartbroken by the loss of a man I never met, who helped ME find my laughter, my joy during a dark time. If anything good can come from his passing, I hope at least there will more of an awareness of how devastating depression can be. I hope that the stigma of depression will go away — because depression is terrible, and depression kills. I have no idea what happens after you die — and “rest in peace” seems hollow. The world — already a troubled place, is much sadder and darker tonight — one if its most brilliant shining lights is gone. Robin, thank you for being there for me, and for countless others; I wish you could have found your peace.